Craftin' Caro: Friday class - Shaker Cards! Friday class - Shaker Cards! Friday's class is going to be a fun one, as we use the "Sweet Centers" paired with the Sweet Treat cups to make shaker cards! We then used the bees and sentiments in Just Buzzin' By to fly around the "sunflower" we made. Inside the shaker? Chocolate Sprinkles! I'll be back later this afternoon to share the next two cards we'll be making - one love-themed with the heart stamp and the 2nd card will be using the hot-air balloon! 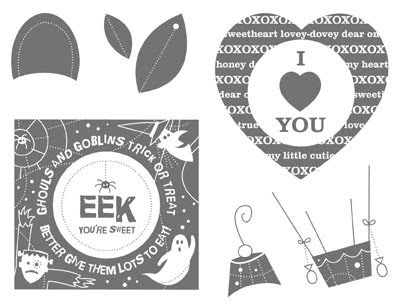 Class fees: $24.95 for class only or $49.95 INCLUDES the "Sweet Centers" stamp set! Please RSVP for the 1pm or 7pm class. Glad you specified the chocolate sprinkles... First glance looked like a mouse had been visiting your stampin studio!!!!! Cards are Q-Ts by the way! The silver balls look so elegant!